Over the weekend I had the opportunity to make my first-ever official experience as Ms. Wheelchair PA USA at the Community Transportation Expo. Though the Expo started Sunday and will run through the middle of the week, I got to be part of what I imagine to be the most fun part - the Roadeo. The CTAA (Community Transportation Association of America) works to make sure that everyone has access to transportation - they believe that mobility is a basic human right. 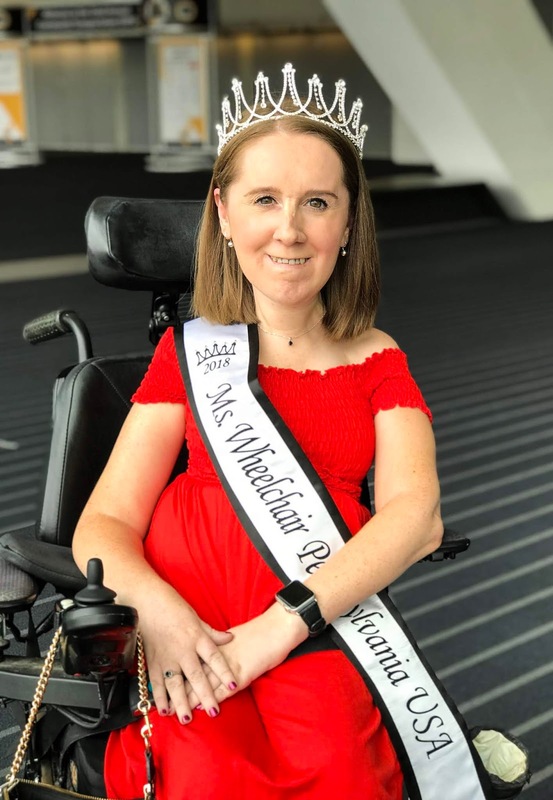 Since my platform for Ms. Wheelchair USA focuses on increasing inclusion for people with disabilities into their communities, and having access to transportation is a key part of this, this seemed like a perfect fit for me to make an appearance. The Roadeo was so cool - it was basically an obstacle course for ACCESS vehicles and accessible minivans. 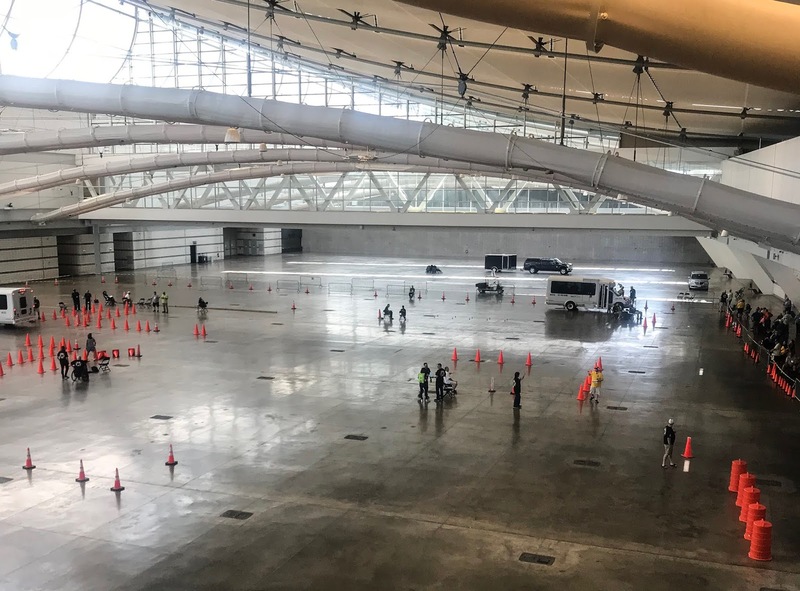 There were cones set up all over the room in the convention center, and drivers were evaluated for all these different components - stopping/starting smoothly, getting close enough to a fake "curb" for a simulated drop-off of a person in a wheelchair, maneuvering through turns. They also had a whole section about proper loading and tying down a wheelchair in a vehicle so it's secure during driving. Many of the drivers had won local driving competitions in their own states, and had traveled to Pittsburgh to compete in the national competition! Everyone I met was so friendly and welcoming, and it was so incredible to see how everyone was so excited about accessible transportation! While it seems like it should be a given, it's not something that people think about all the time, so I'm glad to know that organizations like CTAA are working to keep this in people's minds, and so happy they were willing to let me spend some time with them! If you haven't donated to my Ms. Wheelchair USA campaign yet, it's not too late! Just click here and select "Sponsor HEATHER TOMKO - Pennsylvania."